For the TAW challenge this week: shades of blue. A lovely collage of shades of blue. Looks even better when viewed in a larger size. Wonderful turquoise-blues . My favorite! This is really my tast. I like this work ! Great color combinations and textures. Textures and surfaces and shades and shadows and places in the heart... you have captured them all, this is exquisite. Beautiful colour shades and textures. 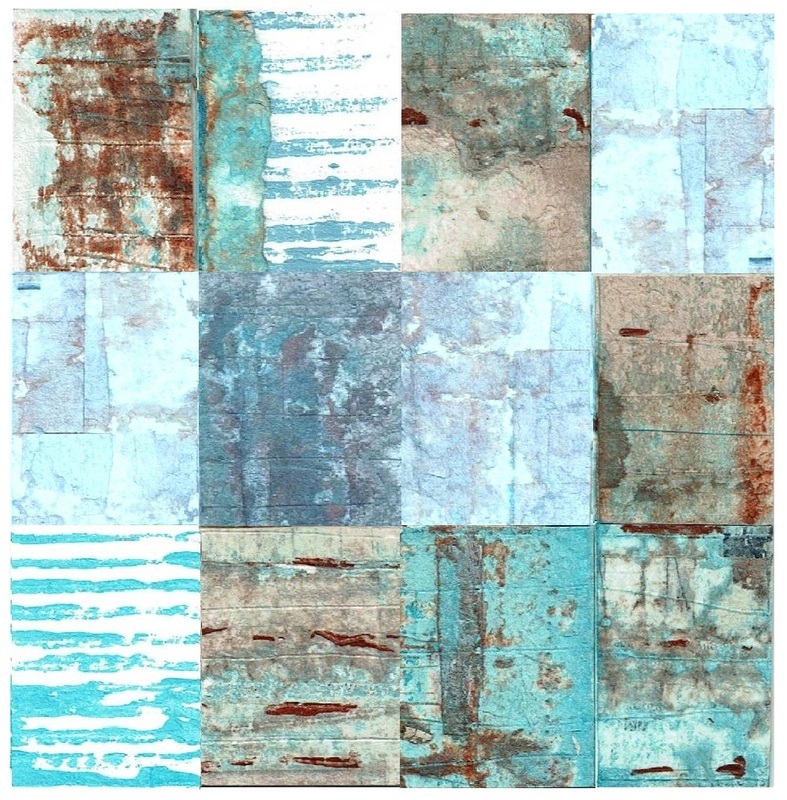 Wonderful shades of blues, Eric, and the most wonderful textures to match. 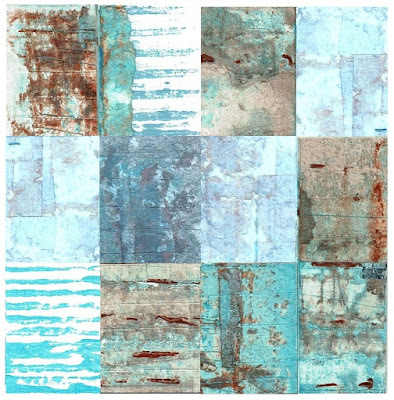 This made me think of a well-loved and much-worn quilt. Beautiful!